The search is on to find beef and sheep farms around Scotland worthy of receiving one of two high profile awards. The AgriScot Scotch Beef Farm of the Year and AgriScot Scottish Sheep Farm of the Year awards, sponsored by Thorntons Solicitors and supported by Quality Meat Scotland (QMS), set out to find, and reward, Scottish farms which exemplify the best in beef cattle and sheep production. 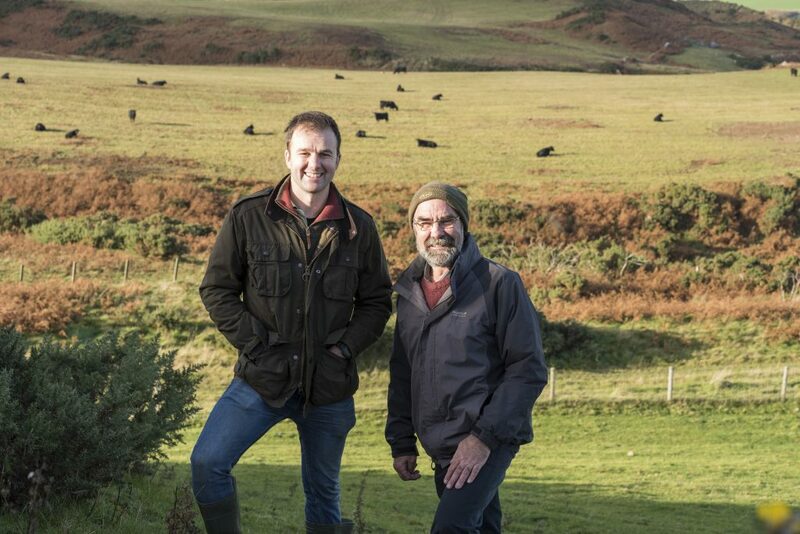 These awards help to raise the profile of the dedication and passion of the cattle and sheep farmers in Scotland who work hard to produce top-quality Scotch Beef PGI and Scotch Lamb PGI and the fantastic stock management skills the industry is renowned for. The organisers of the awards are now encouraging livestock farmers and others involved in the industry to nominate farms they feel are worthy of receiving the accolades this year. The recipients of both awards will each receive a £500 cheque plus a £250 voucher to celebrate their success at a restaurant in the Scotch Beef Club – the club run by QMS with members committed to serving top quality Scotch Beef. The awards will be presented at AgriScot at Ingliston on Wednesday 21st November. 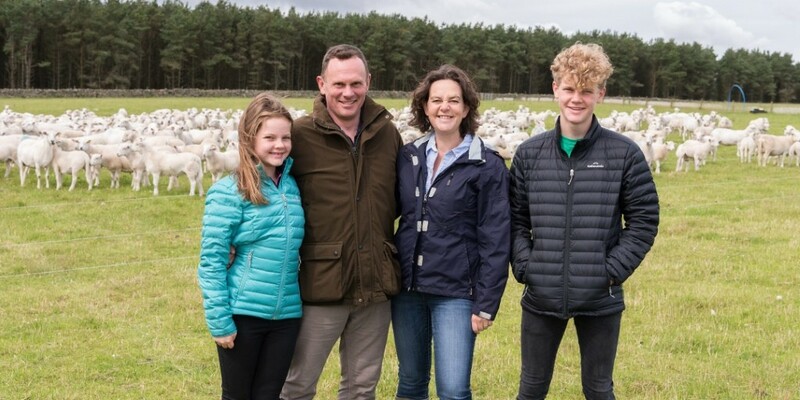 Charley and Andrea Walker from Barnside Farm, near Duns were awarded AgriScot Scottish Sheep Farm of the Year in November 2017. Barnside is a 250-hectare unit which operates a low input, grass fed, organic farming system that supports 840 Easy Care ewes and 220 hoggs. Their delight was mirrored by Robert Fleming who runs Castle Sinniness Farm near Glenluce which was announced as AgriScot Scotch Beef Farm of the Year in 2017. The farm runs a low-input grass and forage-based paddock grazed system which supports the main herd of 220 Aberdeen-Angus and Angus cross suckler cows plus a further 600 growing cattle under contract. “It was great honour to receive an award like AgriScot Scotch Beef Farm of the Year,” said Mr Fleming, who farms in partnership with his father John and mother Rachael. Douglas Bell, Director of Industry Development with QMS, said the organisation is delighted to support the award. “These awards are a fantastic opportunity to champion excellence in the Scottish red meat industry and recognise the commitment and passion producers have in producing top quality Scotch Beef PGI and Scotch Lamb PGI. 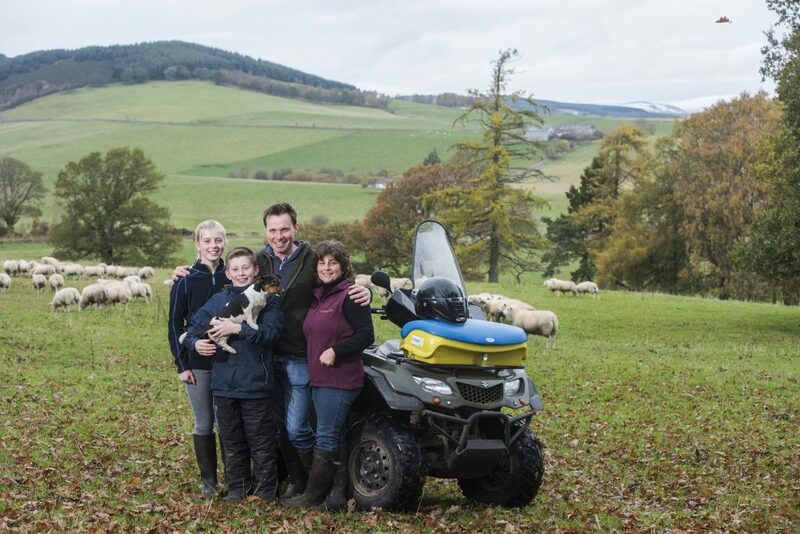 Farmers can either apply themselves, or nominate, in confidence, other beef or sheep producer they feel are deserving of the title ‘AgriScot Scotch Beef Farm of the Year’ or ‘AgriScot Scottish Sheep Farm of the Year’. Those who supply services or products to the industry, from vets to feed manufacturers, as well as the others involved in the production chain such as processors, hauliers and auction markets are also encouraged to nominate livestock farms which are examples of excellence in the industry. • AgriScot, the farm business event for all farmers and all sectors takes place at Ingliston, Edinburgh on Wednesday 15th November 2017. • Thorntons is recognised as one of the leaders in the field of Rural and Agricultural Law in Scotland and has grown to become one of the country’s largest legal firms. Thorntons offers a complete service for rural property, business and personal matters. Its Land and Rural Business team advises farmers, land owners, rural businesses and land agents. • QMS is the public body responsible for helping the Scottish red meat sector improve its sustainability, efficiency and profitability and maximise its contribution to Scotland’s economy. • QMS promotes the PGI labelled Scotch Beef and Scotch Lamb brands in the UK and abroad and promotes Scottish pork products under the Specially Selected Pork logo. • Please note that the use of the word Scotch in the Scotch Beef PGI and Scotch Lamb PGI brands is correct and should not be substituted for an alternative such as Scots or Scottish. The history of the use of the word Scotch in this way, traces back to the 18th century. • The quality assurance schemes run by QMS cover more than 90% of livestock farmed for red meat in Scotland. They offer consumers in the UK and overseas the legal guarantee that the meat they buy has come from animals that have spent their whole lives being raised to some of the world’s strictest welfare standards. • Scotland’s beef, lamb and pork producers make an important contribution to the country’s economic, social and environmental sustainability, contributing over £2 billion to the annual GDP of Scotland and supporting around 50,000 jobs (many in fragile rural areas) in the farming, agricultural supply and processing sectors. • For more information visit www.qmscotland.co.uk or follow QMS on Facebook or Twitter.